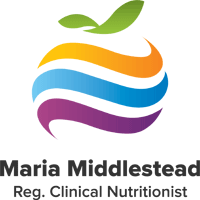 To be on Maria’s email list for monthly recipes and nutrition tips, use the Newsletter subscription box in the right hand sidebar. All new subscribers will receive a 20% discount on any website product ordered within the following 7 days. When placing an order stipulate “New subscriber” in the Special Requests box. * Go northbound over the Harbour Bridge. If southbound go on to the approach to the Harbour Bridge. * In both cases, turn left at the first major exit (#421) for Onewa Road, Birkenhead. * Travel 1 km to the major intersection at the top of Onewa Road. * Continue straight through. Willow Avenue is the second street on the right.